Dogs are notorious for their willingness to eat anything and everything. Whether it’s a pie on the countertop, a spilled drink or even a dirty sock, your dog will, at the very least, consider ingesting it. Your dog’s body is pretty good at digesting even the strangest of substances, but there’s some things that you’ll need to watch out for. Everybody knows about the dangers of a dog eating chocolate, but what else is there? One of the most common items that your dog might eat are chicken bones. If your dog ate chicken bones, here’s everything you need to know. Are Chicken Bones Safe For Dogs To Eat? If you drop a chicken bone on the floor and your dog swipes it, you might not think twice about it. After all, they sell bones at pet stores specifically for dogs to chew on. However, raw bones, which are sold at the store, are far different than cooked bones. Because cooked chicken bones are dry, they will splinter. This can wreak havoc in both the chewing stage and the digestive stage. 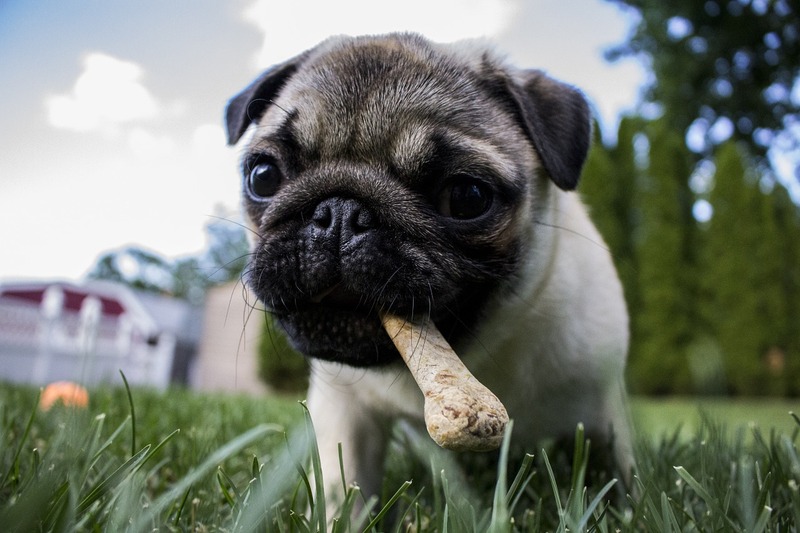 While chewing on dry bones, the splinters can cut the dog’s gums and mouth tissue, which can be very painful. If they end up swallowing the splinters, their insides and organs can be cut, which, in some cases, can lead to death. All of this applies to any kind of cooked bone, regardless of whether or not it’s chicken. Other than dry bones, any kind of human food can cause rapid weight-gain in animals, among other nasty effects. There are almost no cases where a dog should be eating human food over dog food, except for hiding a pill in peanut butter, which is a fairly small serving size. With all of that, it’s safe to say that if you’re dog ate chicken bones, it needs immediate attention. Even if they don’t always result in a damaged dog, chicken bones should still be avoided. Stick to store-bought dog treats, as they’re specially designed for your dog to enjoy and digest properly. What Do You Do Once Your Dog Has Eaten Chicken Bones? Once your dog has eaten the bone, there’s not much else you can do, other than hope for the best. The American Kennel Club recommends calling your veterinarian and explaining the situation while you wait. In some cases, veterinarians have recommended giving your dog white bread along with the bones, so the bread can help cushion the impact of the splintered bones. In the 72 hours following your dog’s consumption of the bones, you’ll want to keep an eye out for certain signs. These include vomiting, constipation and lethargy, among others. If you see these, they’re a sign that the dog is struggling with internal bleeding or blockages, and are reasons to call your vet immediately. Once your dog makes a bowel movement and you’re able to see the bones in the movement, your dog should be fine, but it’s always a good idea to make a visit to your vet, just to make sure. If the bones don’t come out in 72 hours, then you’ll definitely want to make a visit, because the bones might be stuck somewhere in your dog’s digestive system. 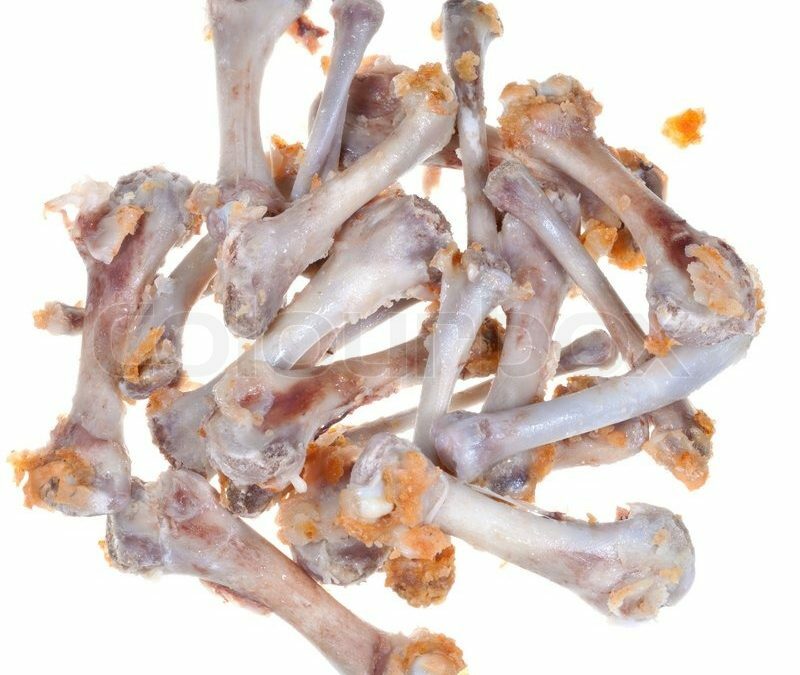 If you catch the dog while he or she is chewing on the bones, before they swallow, you’ll want to go about removing the bones wisely. Dogs can get aggressive when it comes to food, so reaching down for the bones might not be the best maneuver, especially if the dog is untrained. 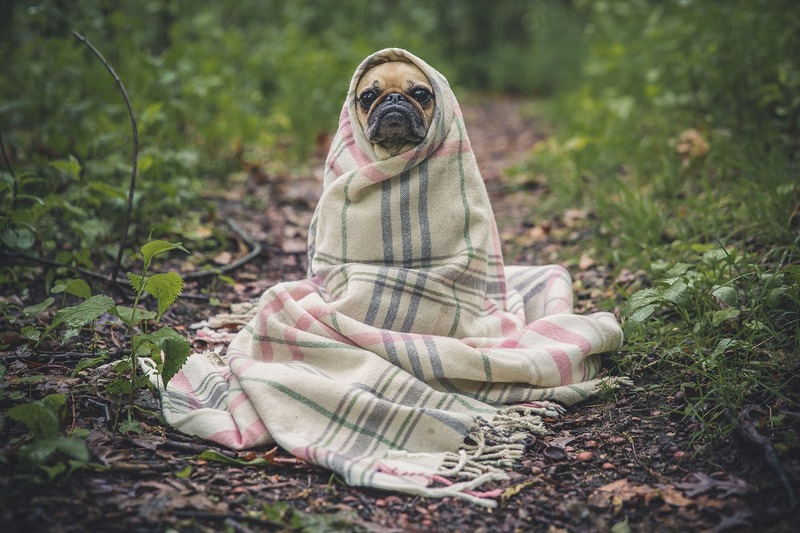 It’s best to try to lure your dog away from the bones, even if this means scaring the dog with a loud noise or using other, safer foods as bait. How Do You Make Sure Your Dog Doesn’t Eat Chicken Bones? Unfortunately, there’s no sure-fire way to keep your dog from finding the occasional item that isn’t good for them. All you can really do is keep an eye out for any falling foods. It’s also important to remind your children not to feed the dog food from the table, even though they see it done in the movies and on television. You’ll also want to make sure that all of the trash cans have lids or are tall enough that the dog can’t get inside. 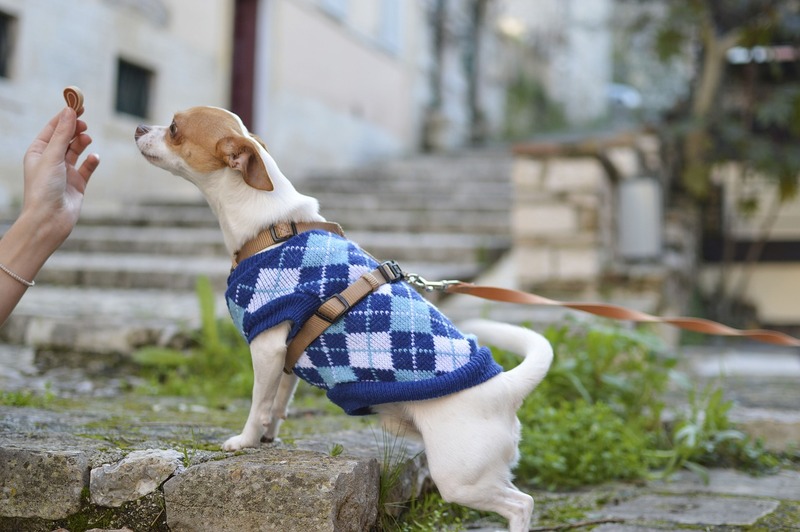 If you have short trash cans, you can always sit them on a stool or cardboard box until your dog is properly trained to avoid the trash can as a source of food. In fact, much of this comes down to training. A dog that’s well-trained won’t go digging in places it shouldn’t be, and even if your dog ate chicken bones, it will drop them at your command before it can swallow. This is why training is so important, outside of simple commands like “sit” and “stay.” Training teaches your dog to respect you and your space. One of the most helpful commands in regard to food is the “leave it” command. You can train your dog to obey this command by using a tennis ball or any toy. Teaching your dog to drop whatever it has in its mouth can come in hand outside of the kitchen. When dogs are outside, they’re known to pick up a number of unsavory objects. If you happen to catch your dog snooping around on kitchen counters, it’s important to dissuade the dog, lead it away to its own area and reward it for complying. Discipline works best in conjunction with a reward system. What Else Shouldn’t Your Dog Eat? Even though you should stick to giving your dog food that’s specifically made for its species, you may sometimes feel compelled to give your dog a human treat. If you do, be sure to stay away from these items. One of the most famous foods that is regarded as poison for your dog is chocolate. It might seem like a cruel joke of nature for something as delicious as chocolate to be considered poison, but it is true, nonetheless. However, you might not need to panic if your dog eats a small amount of milk chocolate, because milk chocolate actually contains very little chocolate. The same goes for white chocolate. However, cocoa powder and unsweetened baker’s chocolate are among the most toxic to dogs. If your dog gets into one of these, you’ll need to make for the vet as soon as possible. It could be a medical emergency. Another food that dogs shouldn’t eat is macadamia nuts. While it may seem strange, these are among the most poisonous foods for dogs. They can cause vomiting, lethargy, hyperthermia and can even debilitate your dog’s nervous system. Interestingly, scientists aren’t sure what it is about macadamia nuts that is toxic for dogs, as it doesn’t affect humans or cats in nearly the same way. When combined with your dog’s sharp canine teeth, this next toxic food creates a spooky image. Dogs are known to have bad reactions to garlic. It can cause anemia, pale gums and weakness, among other bad side effects. Is your dog a creature of the night? While not as severe, these same symptoms can pop up if your dog eats other products in the Allium family, such as onions, leeks or chives. The poisoning from these items is also known to result in a delayed reaction, so if you think your dog ate some garlic, keep your eye on him or her for several days. Cinnamon isn’t as bad for your dog as some of the other foods on this list, but it should still be avoided. The oils in cinnamon can irritate a dog and lower its blood sugar. This can result in vomiting, abnormal heart rates and liver disease. On a superficial level, cinnamon can also cause the dog to cough and choke. Grapes and raisins might seem perfect for a dog treat. They’re small and soft, perfect for your dog’s mouth. However, this couldn’t be further from the truth. Like macadamia nuts, grapes and raisins are highly toxic to dogs, but scientists aren’t sure why. Nonetheless, they’re known to cause such severe afflictions as kidney failure. You’ll to watch out especially for grapes, because their bouncy nature almost assures that at least one of them will end up on the floor while you’re snacking. Taking care of a dog isn’t always a walk in the park, even though walks in the park are literally part of the job. Just as you should with small children, dogs need to be watched at all times, because they don’t always know what’s good for them. This is especially true when it comes to food, which dogs will go after indiscriminately. It’s your responsibility to makes sure there’s no way your dog can get into a trash can or onto a dinner table and get something as dangerous as a chicken bone. 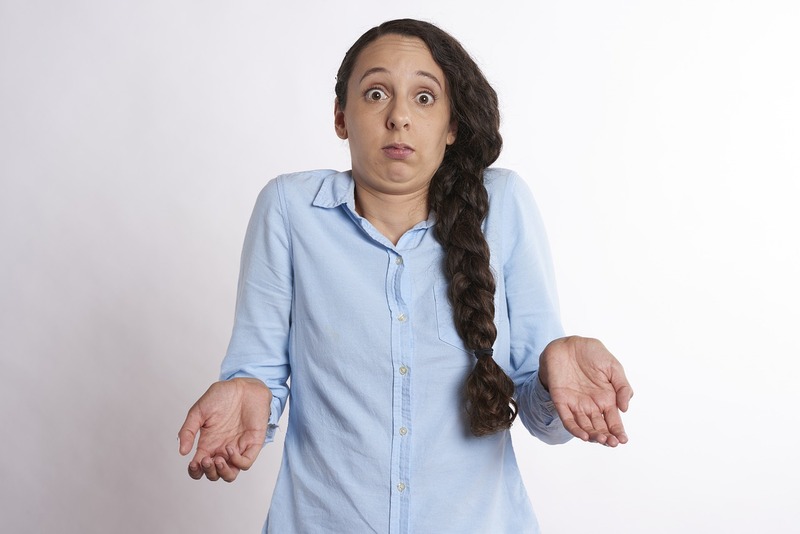 Hopefully, by reading this blog, you’ll be prepared for any eventuality.